I think I invented a new cheek look. 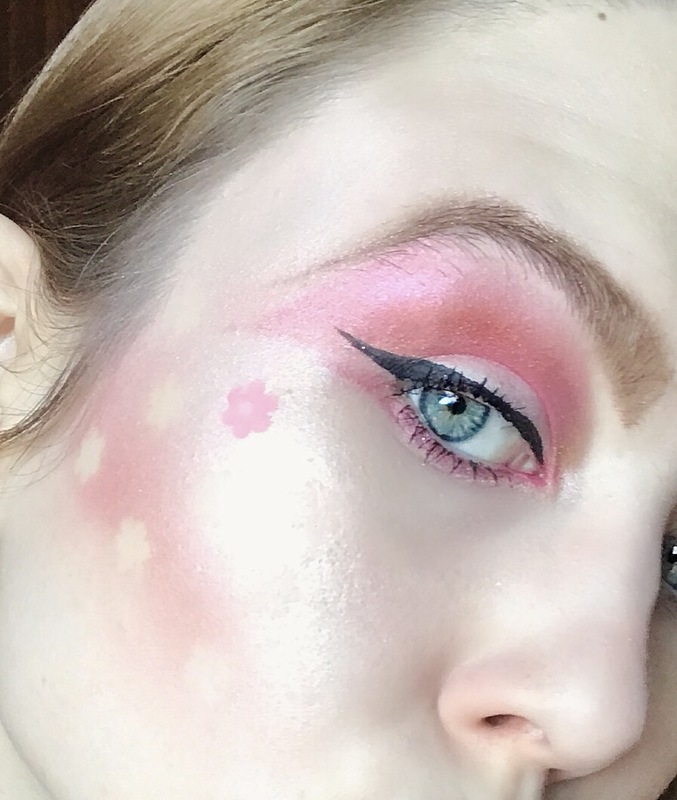 It’s called Groovy Cheeks & it’s not an every day look. It’s a little bit hippie and a little bit harijuku! I feel like a cross between a spring fairy, and a samurai! 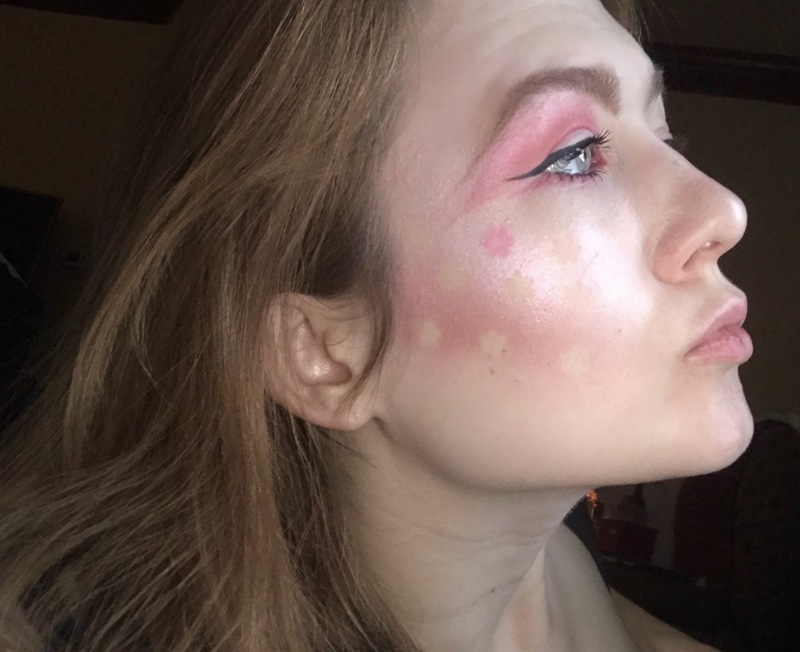 Then I took a pink Mac blush from their nutcracker collection, which was limited edition, but any pink blush will do, and I brushed across the hollows of my cheeks. Then I blended it with a little Tarte illuminator from the Make Believe palette. Then came the Kat Von D Alchemist palette. I went crazy in all the usual highlight spot with every color in the palette, although it doesn’t look that way. I blended them quite a bit. Then I took the stickers off! I left one pink sticker on to tie everything in. Previous Post one, buy! one, don’t try!